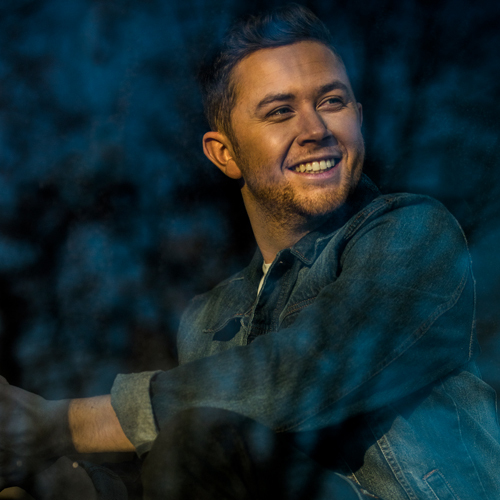 "I’ve lived a lot of life since my last record," says Scotty McCreery. "I moved out on my own, I travelled across the country and the world, I got engaged, I was dropped by my label, I was even robbed at gunpoint. So I really wanted this album to show who Scotty is at 24, what’s going on in my life, and I think we accomplished that." "At first, it actually started pretty simple," he says. "We were just looking for the best songs. But then as my life got more complicated, I knew I wanted to make a record that was a lot more personal, and I felt that writing more myself would help capture that." After winning Season Ten of American Idol in 2011, McCreery made history when he became the youngest male artist of any genre, and the first country music artist ever, to have his debut album enter at No. 1 on the Billboard Top 200 chart. Clear as Day was certified Platinum for sales of one million units in just 13 weeks and became the best-selling solo album released by a country artist in 2011. The singles "I Love You This Big" and "The Trouble with Girls" were also certified Platinum. He won the New Artist of the Year award at both the Academy of Country Music (ACM) Awards and the American Country Awards, and also received the CMT Award for Breakthrough Video of the Year for "The Trouble with Girls." A year later, Christmas with Scotty McCreery debuted at No. 1 on the Billboard Top Holiday Albums chart and was quickly certified Gold. His next album, 2013’s See You Tonight, debuted at No. 1 on the Billboard Country Albums chart, and "See You Tonight" and "Feelin’ It" both reached the Top 10 and were certified Platinum and Gold respectively. "See You Tonight" earned McCreery both his first BMI Award for writing one of the Top 50 Country Songs of 2015, and his first Music Row No. 1 Challenge Coin for landing atop the Music Row Country Breakout Chart. While he had been working on his songwriting craft throughout his rapid rise, McCreery felt that he really needed to buckle down and study if he was going to tell the stories he really wanted to tell on Seasons Change. "I wanted to write with everybody," he says. "I was just trying to be a sponge and soak up all I could. It really set me up to where I could write every song on the record, and not feel like I was compromising the quality of what I was singing." Key to his growth was producer Frank Rogers (Brad Paisley, Darius Rucker), who co-wrote six of the album’s songs and helped steer the ship. "Frank worked on my last record, but this time he really took me under his wing," says McCreery. "I lean a little more to the traditional side, but he does a great job of getting new sounds and traditional sounds and meshing them together." He also brought in Aaron Eshuis and Derek Wells as co-producers on the album. "Derek had played on my last album and he’s one of the most in-demand session players in town. I knew he had the musical ear and strong musical point of view that would enrich this project. And with Aaron -- every time we sat down, we wrote a great song. Having Frank, Derek and Aaron was a great combination." The first song he worked on after his lengthy fight with his old label was resolved was "Seasons Change," writing with James McNair and Tommy Cecil. "That was my first time diving back into music after dealing with lawyers for a year, and I felt rejuvenated," he says. "I decided that very day that it was going to be on the record." Another thrill came when North Carolina resident McCreery got to write the beach-music-inspired "Barefootin’" with David Lee Murphy. "He’s had such huge hits, has such a way with words, and ‘Dust on the Bottle’ is one of my all-time favorite songs," says McCreery. "I never expected to write with him, and then we sat down and wrote one of my favorite songs—that was a great day." The greatest breakthrough, however, may have come in February 2015, when he wrote "Five More Minutes" with Rogers and Monty Criswell. "I knew it was a special song," he says. "I tweeted that day that we just wrote my favorite song I’d ever written." As the search for a new label continued, McCreery and his team made a brave decision, and released the song on their own, with no record company behind it. "Most sane people would have said to wait," he says, "but my management and I really believed in it—and at the core of country music, it still comes down to the song. And we were willing to bet on that. We knew it might take a while, but we felt like we could do it and build something one step at a time." It didn’t take a while. On its first day of release, "Five More Minutes" was ranked No. 2 on the iTunes country singles chart and No. 9 on the iTunes all-genre singles chart. It debuted at No. 6 on the Billboard Country Digital Sales Chart, McCreery’s highest ranking on that chart since his debut single in 2011. The emotional music video, with home movies of McCreery as a boy alongside his family and friends, was the No.1 country music video and the No. 2 music video overall on iTunes. It stayed at No. 1 on the GAC Top 20 Countdown for six weeks. His powerful performance of "Five More Minutes" on the Grand Ole Opry stage during CMA Music Festival won the 2016 Rare Country Award for "Grand Ole Opry Moment of the Year." "Sometimes you feel like you’ve really got to sell something," says McCreery, "but this one, from the first time people heard it, everybody started telling me their own stories, and I enjoyed that more than anything else. It would have put us in a predicament if it hadn’t succeeded—looking back, yeah, it was a crazy thing to do, but we just went full steam ahead." The final piece fell into place when, just as "Five More Minutes" hit the Top 40 on the Billboard Country Airplay chart, McCreery signed with Triple Tigers Records/Sony Music Entertainment. "Triple Tigers is a great fit for me," said McCreery. "They are music people and they work hard. With this label on my side, ‘Five More Minutes’ has become my fastest rising single to reach Top 15 since my debut single. And we’ve only just begun." Of course, there’s one other big story that underlies Seasons Change. In September 2017, the guy who was voted both "Country Music’s Hottest Bachelor" and "Country Music’s Sexiest Man" by the readers of NASH Country Weekly Magazine proposed to longtime girlfriend Gabi Dugal in the mountains of North Carolina. "She’s a huge part of this record, the inspiration for all the love songs," he says. "We met in kindergarten–her kindergarten diary has ‘Mrs. McCreery’ written in it with hearts around it. We started dating senior year of high school, and became best friends in the last few years." The song "This Is It" even spells out a play-by-play blueprint for popping the question. "I had the ring in the closet for months and had the day all planned out," he says. "And it all went great, just like the song lays it out—it would have been awkward if she had said no!"